I found a copy of a very complete examination of conscience. However, there is nothing to show who the author or publisher is. If anyone recognizes this work, please let me know. Thank you. - Have I been irreverent in church and before the Blessed Sacrament? - Was I culpably distracted in my prayers? especially in the shorter daily prayers? - Have I disturbed and distracted others in their prayers and devotions? - Have I kept others from religious exercises for selfish reasons? 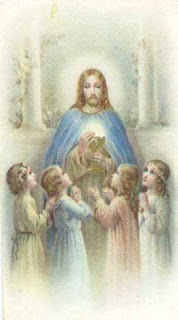 - Have I been irreverent in the use of sacramentals, such as holy water, the sign of the cross, etc.? or in my genuflections and posture in Church? - Have I accepted the will of God and believed firmly in His providence in the sorrows of life? - Have I been slow in trying to banish or overcome doubts against faith? - Have I brooded over my past sins, giving in half-voluntarily to the fear that they might not be forgiven? - Have I permitted discouragement to take possession of my heart because of my frequent faults or lack of progress in virtue? - Have I permitted myself to worry excessively over material setbacks and external difficulties, as if God did not know them and could not help me? - Have I been morose, melancholy, gloomy? - Have I acted the coward? - Have I been overanxious in regard to my health? - Have I deliberately neglected easy opportunities for prayer and devotion which would have made me stronger in virtue? - Have I been slothful about trying to acquire the habit of praying in serious temptation? - Have I given up prayer when prayer seemed difficult and uninviting? 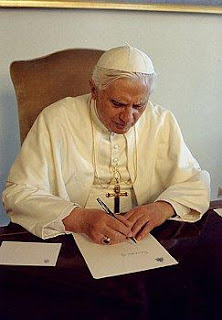 - Have I performed my external duties to God, such as hearing Mass, saying my prayers, receiving the sacraments, in a distracted, impersonal, half-hearted manner? - Have I been unfaithful to little promises made to God? - Have I given in to worldly desires, which I knew in the beginning to be inconsistent with the love of God? - Have I been so fond of some venial sin like gossip, or vanity, or exaggerating, that I have made no serious effort to overcome it? - Have I tried to do serious bodily injury to any person consecrated to God? - Have I committed a sacrilege by receiving Holy Communion while in the state of mortal sin? Have I made a bad confession? The following are quotes from saints which Father Ronald Tangen shared in the preface of Victories of the Martyrs by St. Alphonsus Liguori. 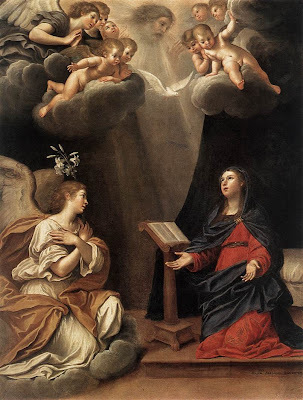 The Angel Gabriel announces to the Virgin Mary that God wishes her to become the Mother of His Son. 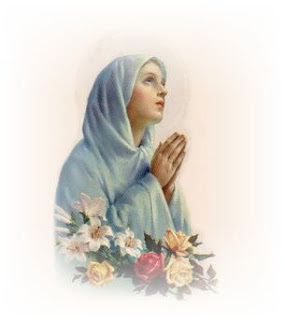 Mary obeys with humility and joy. Resolution: I will be humble and courteous toward all. 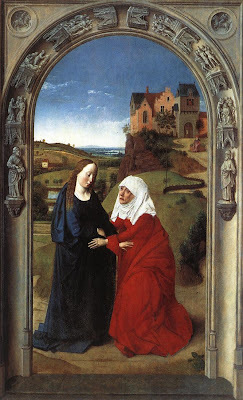 Mary visits St. Elizabeth , who is to be the mother of St. John the Baptist. She remains and assists Elizabeth lovingly for three months. Resolution: I will help my neighbor in need. Jesus Christ, the Son of God, is born in a stable. His Mother places Him in a manger. He is visited by the Shepherds and Wise Men. Resolution: Christ become Man; I will become Christlike. 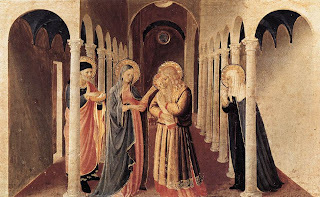 In obedience to the law of Moses, Mary and Joseph take the infant Jesus to the Temple of Jerusalem to present Him to His Heavenly Father. Resolution: I will obey the Laws of God and His Church as Jesus, Mary and Joseph did. 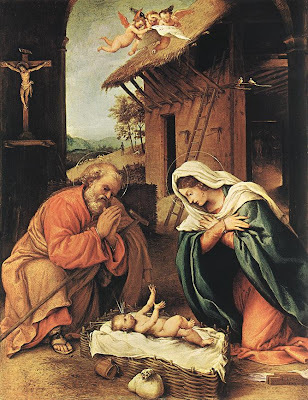 Having lost Jesus, Mary and Joseph seek Him. 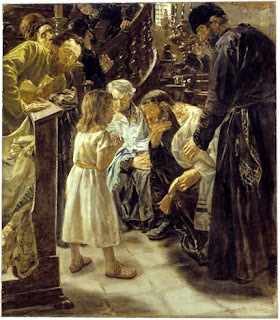 After three days they find Him in the Temple talking with the learned men. Resolution: I will fulfill my daily duties. Text from The Rosary Crusade. 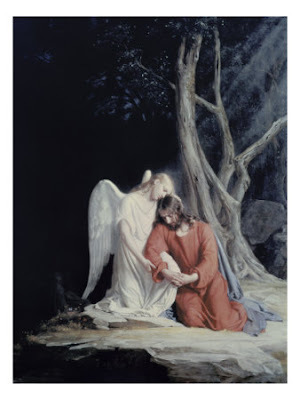 The following pictures and reflections are share in the hopes it will help in your meditation when praying the Holy Rosary. You can click the picture if you wish to enlarge it. Jesus prays in the Garden of Olives. The though of His coming sufferings and our sins causes Him to sweat blood. Resolution: My Jesus, I will pray with all my heart. 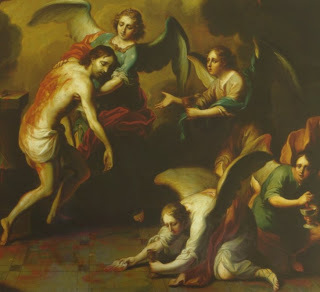 Our Lord Jesus Christ is stripped, bound to a pillar, and cruelly scourged until His innocent Body is covered with wounds and blood. Resolution: My Jesus, I will keep my body pure. 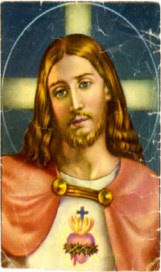 A crown of thorns is pressed into the head of Jesus. His eyes are filled with tears and blood. His executioners mock and spit upon Him. Resolution: My Jesus, I will banish unclean thoughts. Weighed down by the cross, Jesus patiently walks the road to Calvary. 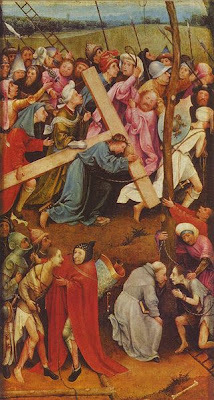 Mary makes the stations of the cross with her dying Son. Resolution: My Jesus, I will bear my cross patiently. 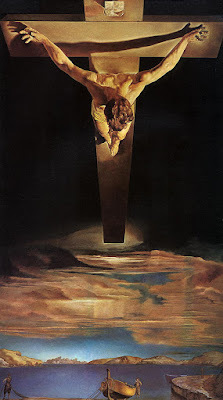 Fastened to the cross by nails, Jesus, after three hours of agony, dies in the presence of His Mother. Resolution: I accept the death God has prepared for me and all the pains that may accompany it. - Speak as little as possible of oneself. - Mind one's own business. - Do not want to manage other people's affairs. - Accept contradiction and correction cheerfully. - Pass over the mistakes of others. - Accept blame when innocent. - Yield to the will of others. - Accept insults and injuries. - Accept being slighted, forgotten, and disliked. - Be kind and gentle even under provocation. Do not seek to be specially loved and admired. - Never stand on one's dignity. - Yield in discussion even though one is right. - Choose always the hardest." By Blessed Mother Teresa speaking to her religious, as quoted in the Love of Christ. I know many if not all of my questions have been answered. Also, I would like to mention that I received a very nice card and note from Father Gordon the other day. It is comforting to know I am remembered by name at the Masses Father celebrates. It is also good to get to know another of Mary's priests a little better. Please continue to pray for Father Gordon and all other priests who have been falsely accused and are incarcerated. When kneeling in front of the Most Blessed Sacrament hidden in the Tabernacle, one can easily be overcome by love for God. It is a special time when we can spend time with our God, one on one. The other day I was overwhelmed with a feeling of love for Jesus and then great sorrow hit me. I started reflecting back on my life and regretting many decisions I made over the years. My sins and failings especially those times when I was selfish, self-centered, and proud really started to make me uncomfortable. I know deep in my heart that I have been forgiven for all those sins so it wasn't fear of not being forgiven that bothered me. It was instead the realization on the many times I had hurt God with my sins and offenses that made me sad. I then started to think if only I could start all over from the time I reached the age of reason and do everything in my power not to sin. I began to wonder what exactly was my first offense, my first sin against God. What venial sin did I commit? Was it arguing with my siblings? Disobeying my parents? Those types of sins may seem innocent and not worthy of confessing, but if compared with the perfection of God, they did in fact offend God. Of course, going back to that moment in time before having committed the first sin is impossible. 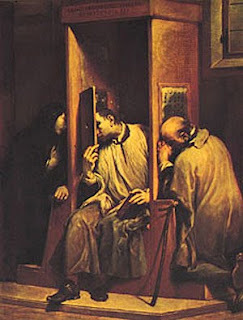 Yet, with the sacrament of reconciliation, we are again and again given the opportunity to repent of all our sins. - Have I permitted discouragement to take possession of my heart because of my frequent faults or my lack of progress in virtue? If we do not believe that God has truly forgiven us of our sins, we do not believe in the infinite mercy of God. I just have to keep remembering Jesus' words "Go and sin no more". help me to spread Thy fragrance everywhere I go. Flood my soul with Thy spirit and life. that all my life may only be a radiance of Thine. may feel Thy presence in my soul. it will be Thou shining on others through me. by shining on those around me. the evident fullness of the love my heart bears to Thee. 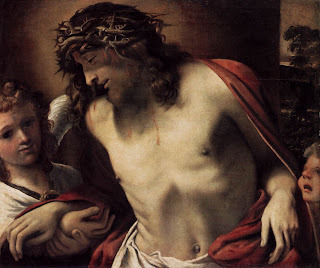 According to the Pieta Prayer Book, this was a favorite of Bl. Mother Teresa of Calcutta. She said it made a great difference in the lives of the Missionaries of Charity. Two of our own priests, actually our vicar general, Father Marc Alexander, and Monsignor John Mbinda, have their own blogs. 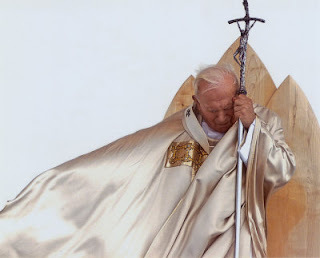 "Why He is a Saint"
Pope John Paul II whipped himself with a belt, even on vacation, and slept on the floor as acts of penitence and to bring him closer to Christian perfection, according to a new book by the Polish prelate spearheading his sainthood case.